brother kurt, did you ever get a chance to come up North this fall? I accept your offer for friendship and extend to you my hand in fellowship and Brotherly love. Keep up the good works My Brother. I look forward to your insightful contributions. I am married to the most wonderful woman in the world. We have 4 children all of which I adore. Find all content by Bro. Kurt P.M.
Find all threads by Bro. Kurt P.M.
2017 D.D.G.M. 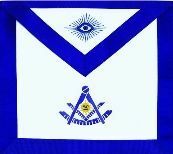 of Masonic District # 14G of the Most Worshipful Grand Lodge of Texas A.F.& A.M.